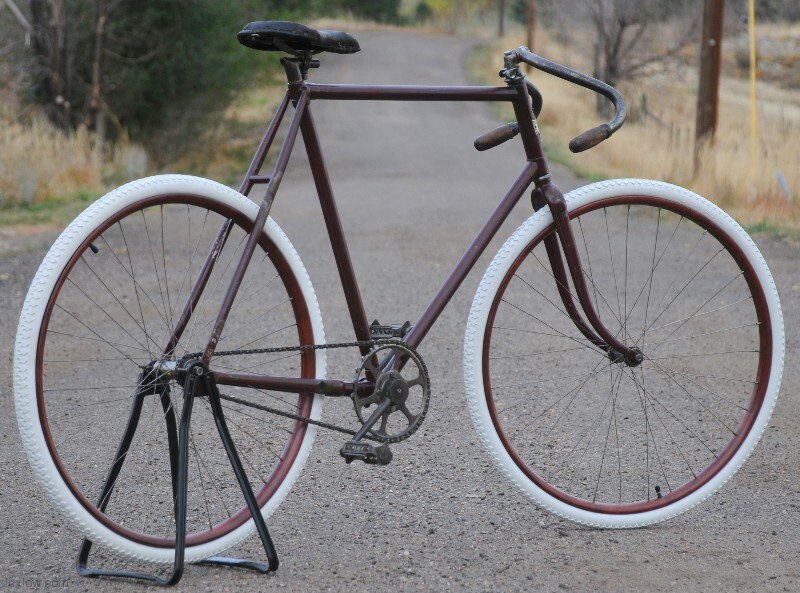 This Vintage Racycle Narrow Tread Roadster / Racer Bicycle is one of Racycles earlier offerings and is a Lovely Preserved Gem. 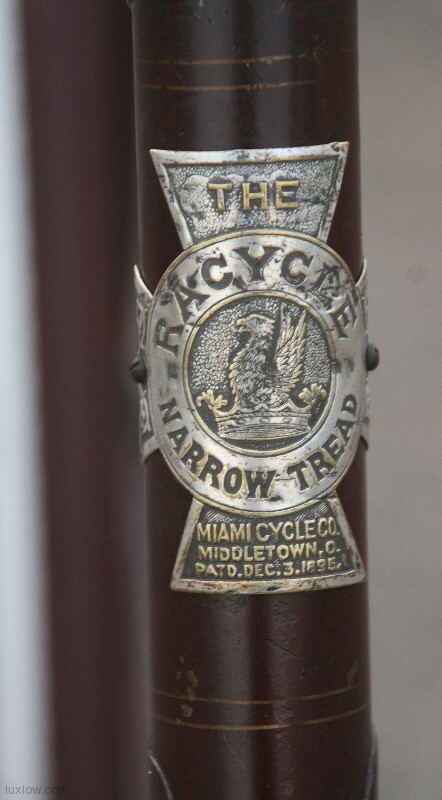 The Racycle is the top of the Line Bicycle made by Miami Cycle and Manufacturing, Middletown, Ohio USA. 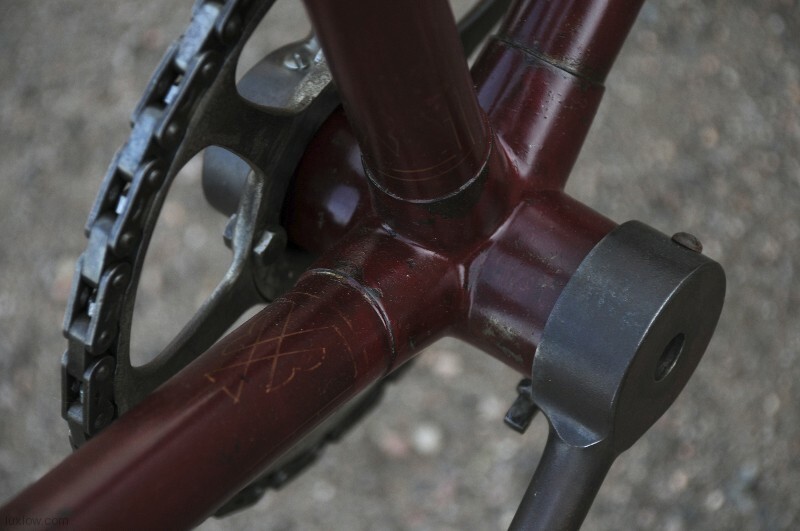 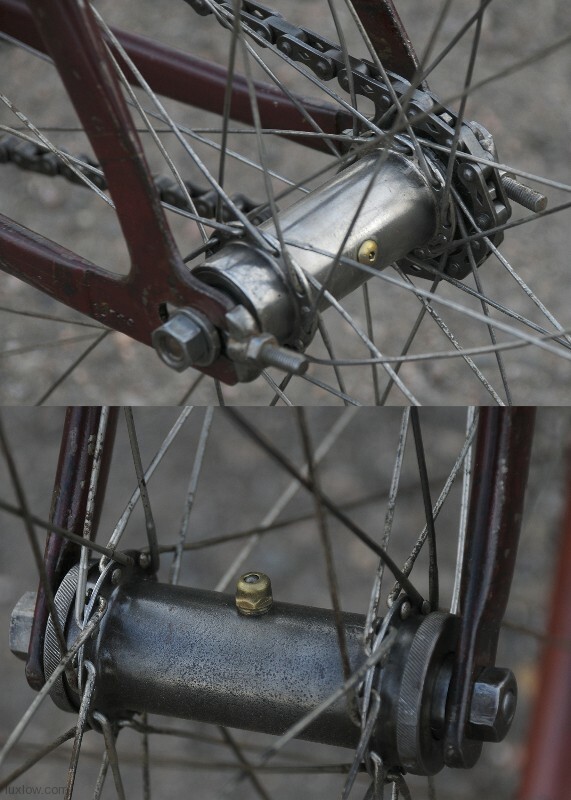 The Racycle Boasts the performance of their unique bottom Bracket. 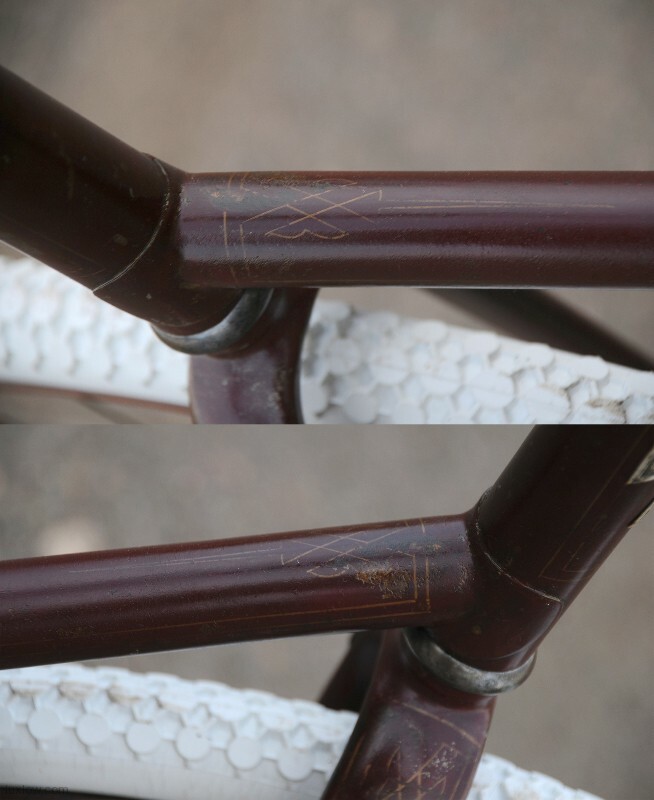 Miami also made Flying Merkel Bicycles. 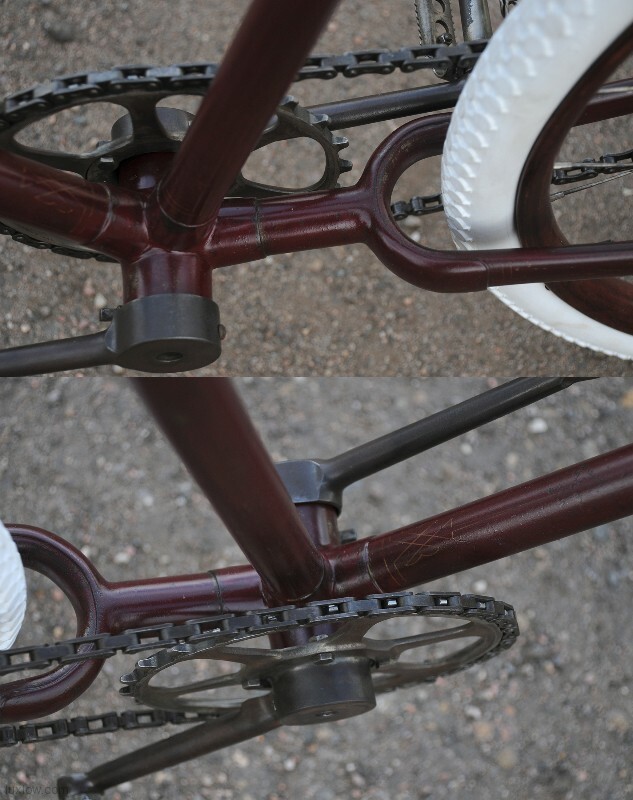 Miami / Racycle bikes are rare and highly sought after and come with superior quality and craftsman ship. 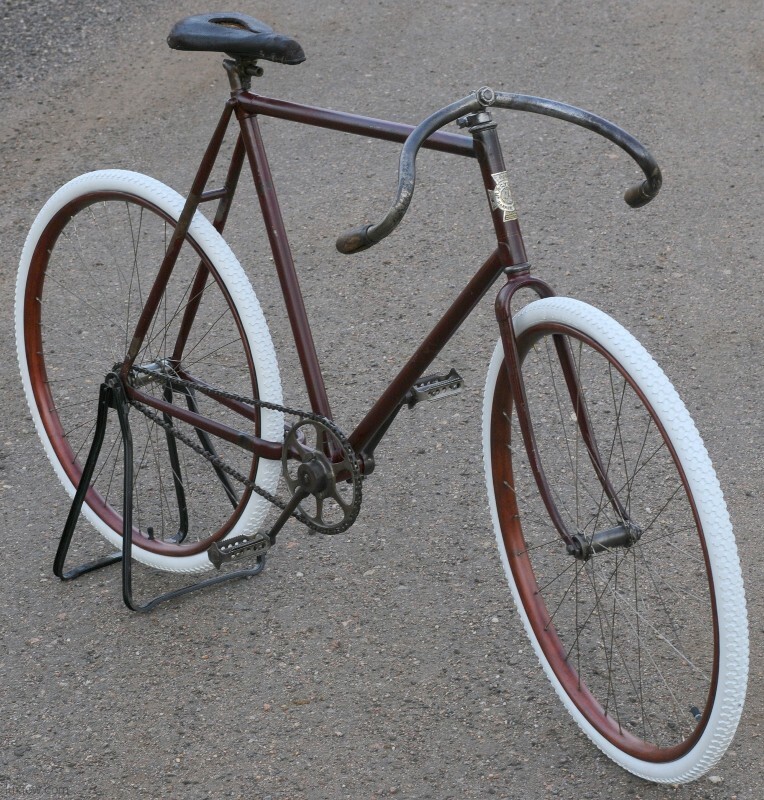 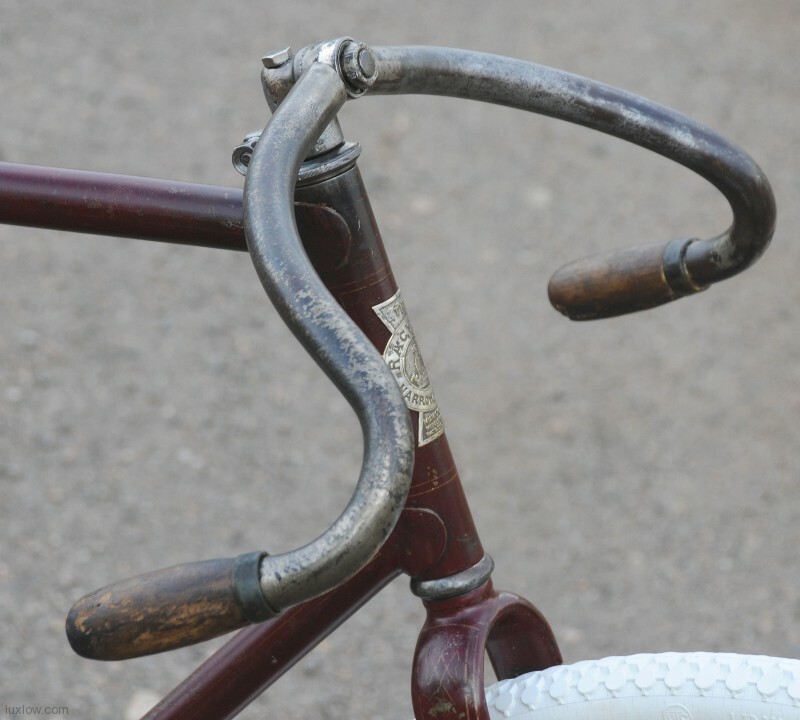 From My Research I place this Racycle Roadster Racer as a 1898 Model G. This Racycle Narrow Tread is possibly my Favorite bike, with it’s Unique Parts, Beautiful Original Maroon paint with gold pin striping. 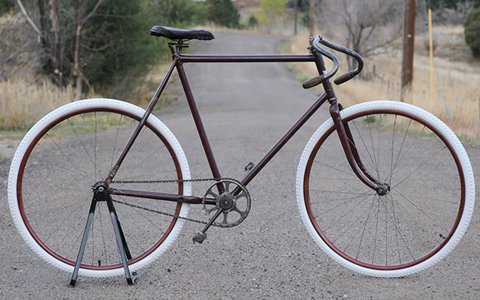 It is quite the Show Stopper. 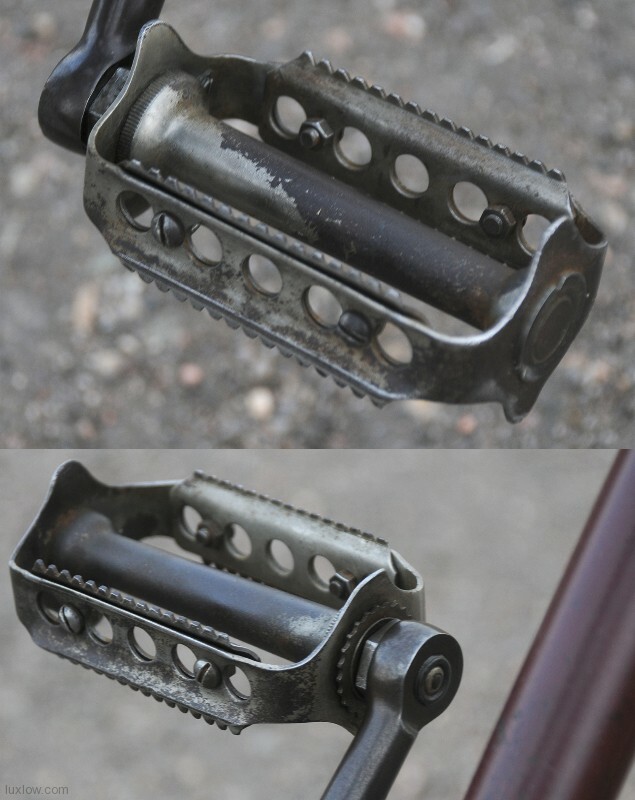 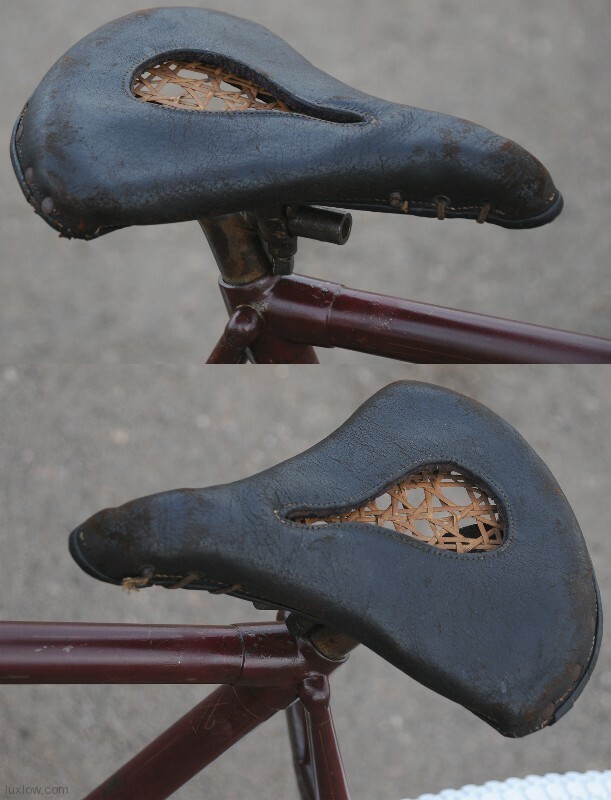 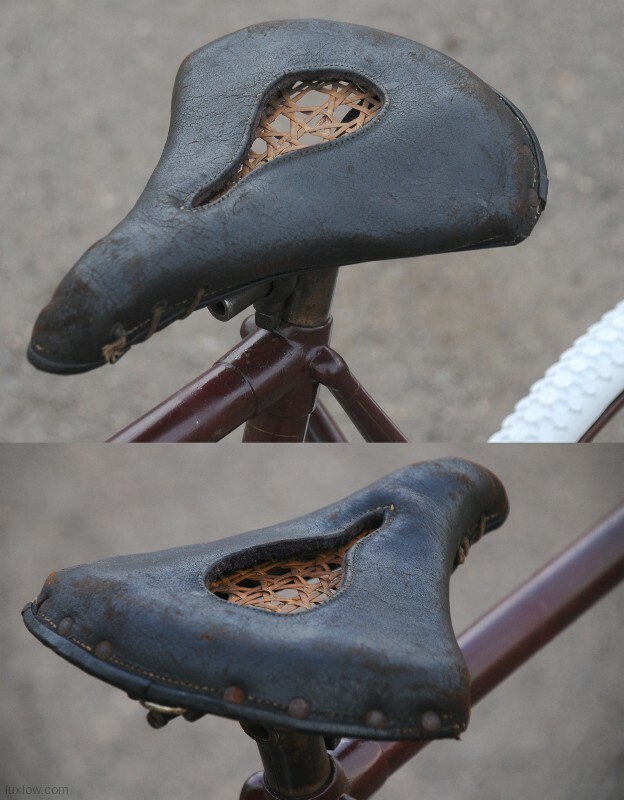 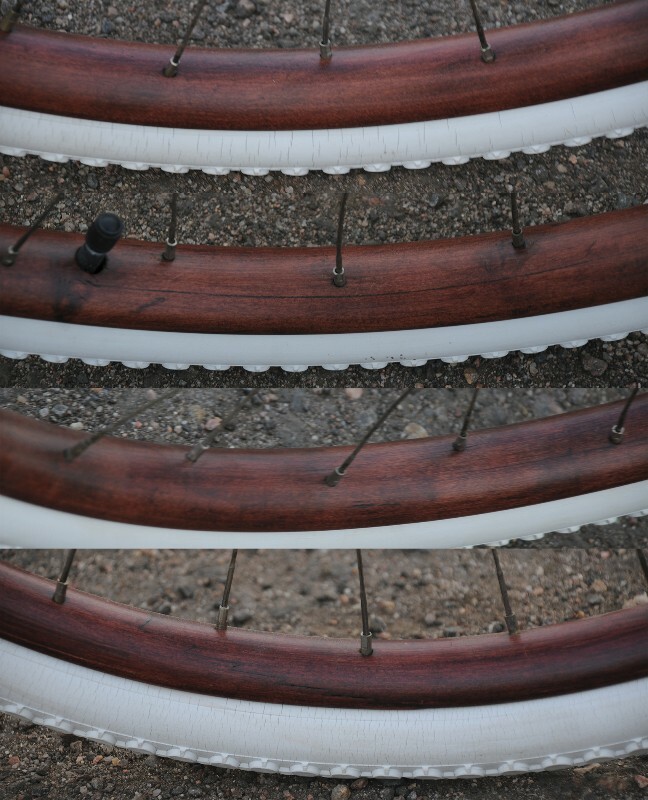 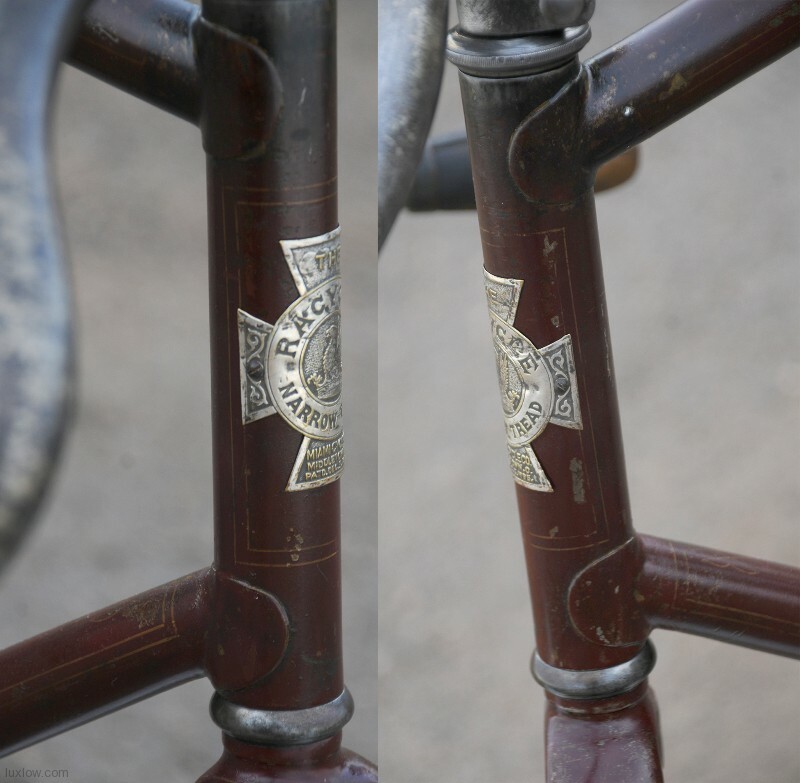 This Old Racycle Narrow Tread has been Lux Low Patina Restored and Resuscitated. 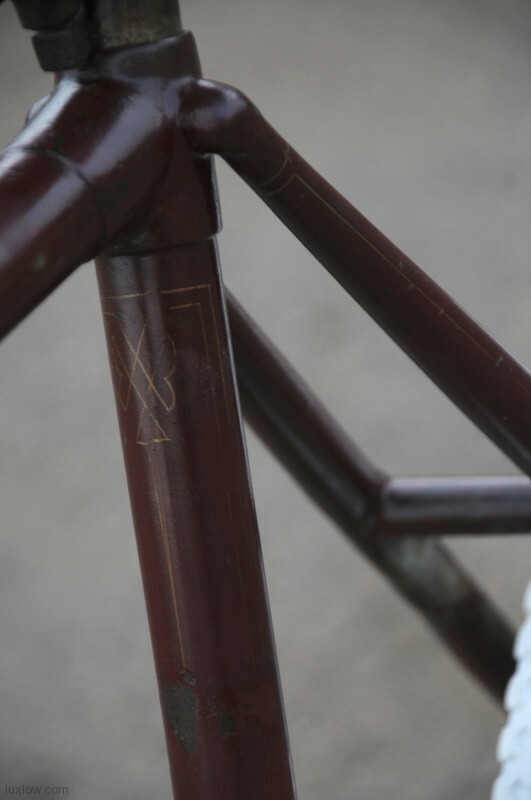 The Paint is Original Regal Deep Maroon, Lux Low deep cleaned and sealed that Brings out Great color with Gold Pin striping. 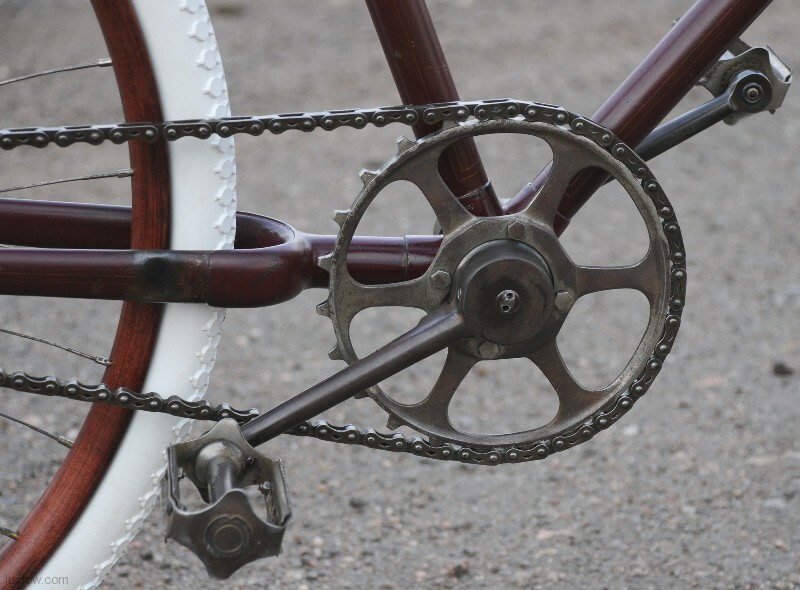 The Bike is adorned with unique parts: Racycle Narrow Tread head badge, Kelly Adjustable Handle Bars with Wood Grips, Racycle Crank and Hanger ( early Super wide Bottom Bracket ), Brandenburg Pedals, Diamond Roller Block Skiptooth Chain, and Early Hygienic Leather Saddle. 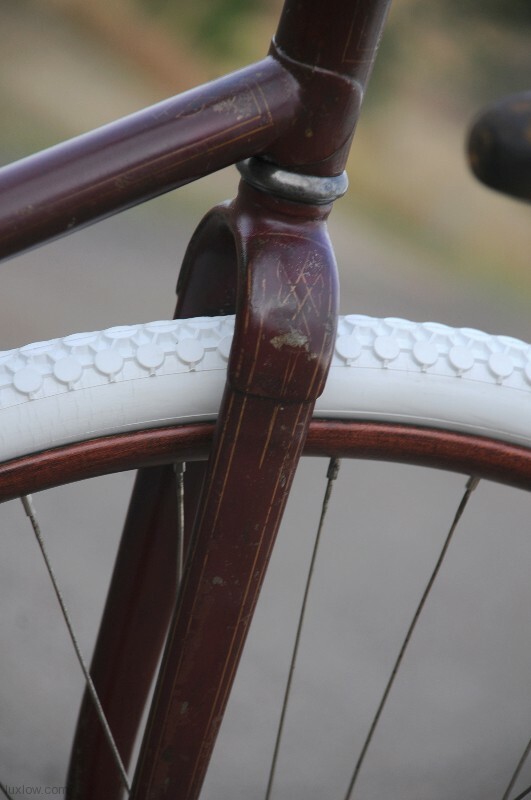 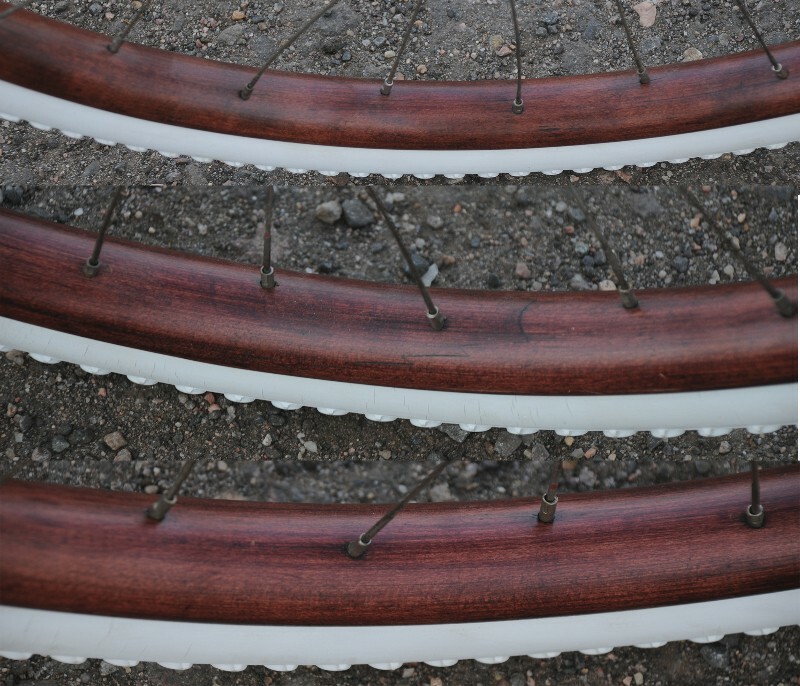 The wood wheels are Beautiful, Mahogany finished wood rims laced to Unique Early Barrel Hubs. 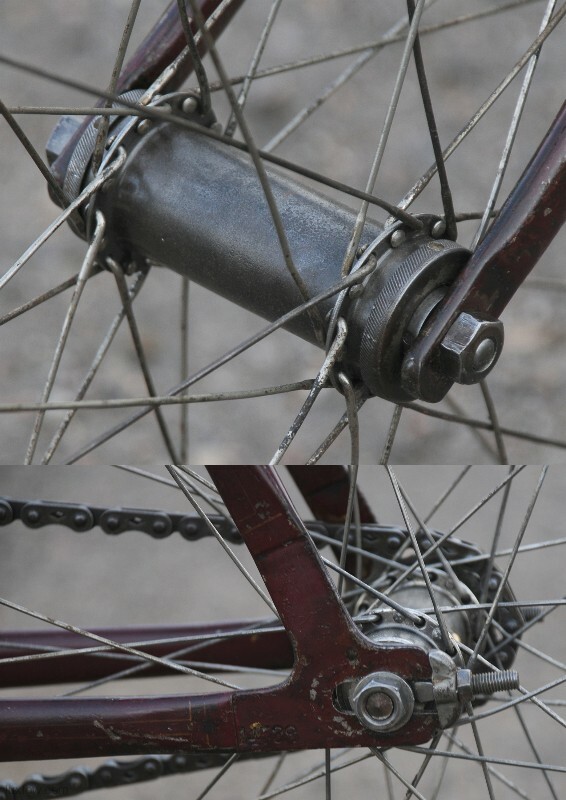 The Rear Hub is Fixed Gear ( bike is Pre Coaster brake era ) and the Tires are New Solid remake Button Tread Tires. 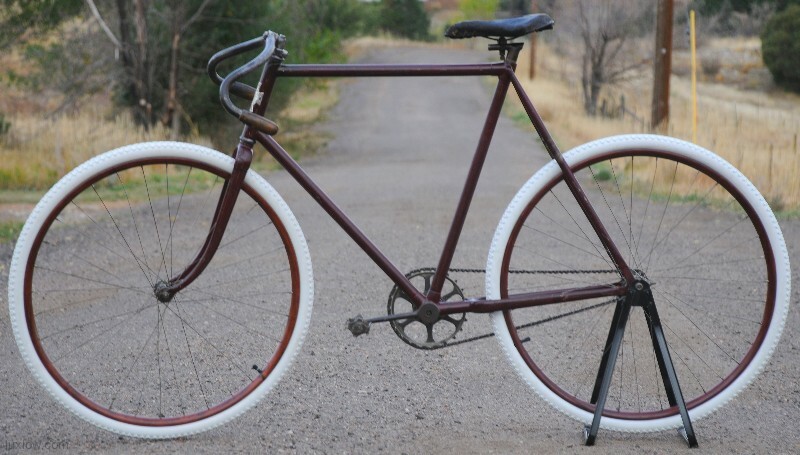 This Racycle is a Grand looker, the Wood Wheels and Original Patina is Beautiful and completely rebuilt, I would say she is fit to be Ridden Gingerly on Occasion with Caution. 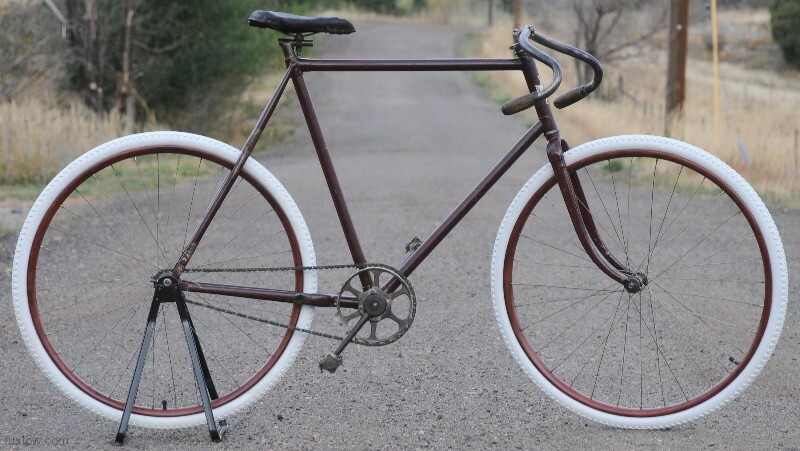 Non Local Sales: You will be billed through Paypal and Shipping is: $120 Bikes with out Fenders & $180 for bikes with fenders to most of the US.